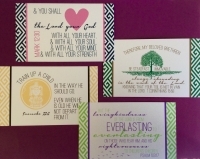 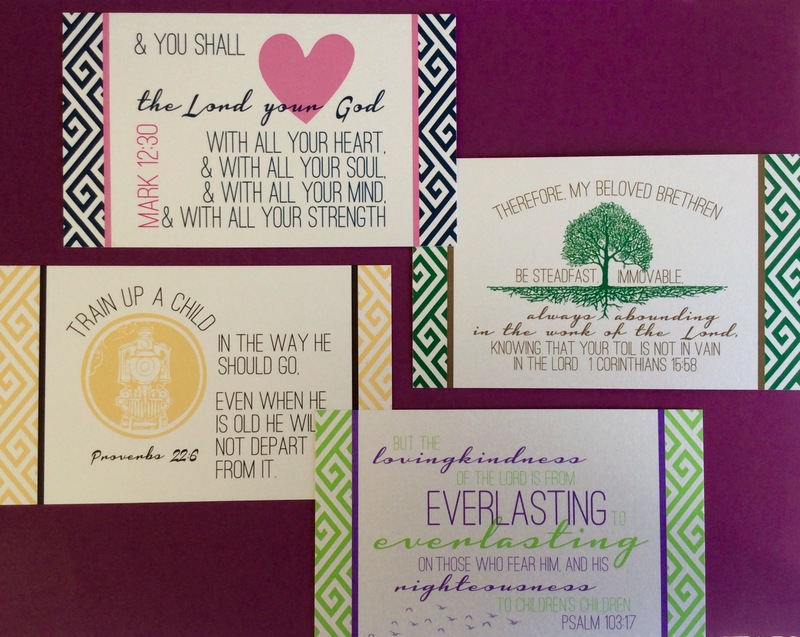 These beautifully designed 3"x 5" Scripture cards are printed on lovely, pearlized cardstock. 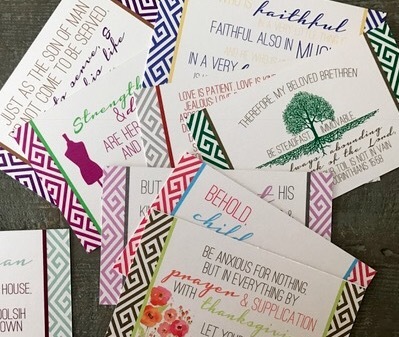 Every set includes: 9 cards (8 two-sided & 1 one-side) for a total of 17 memory verses that are in a pretty organza, ribbon closure bag. Perfect for you to carry your own set or to give as gifts. 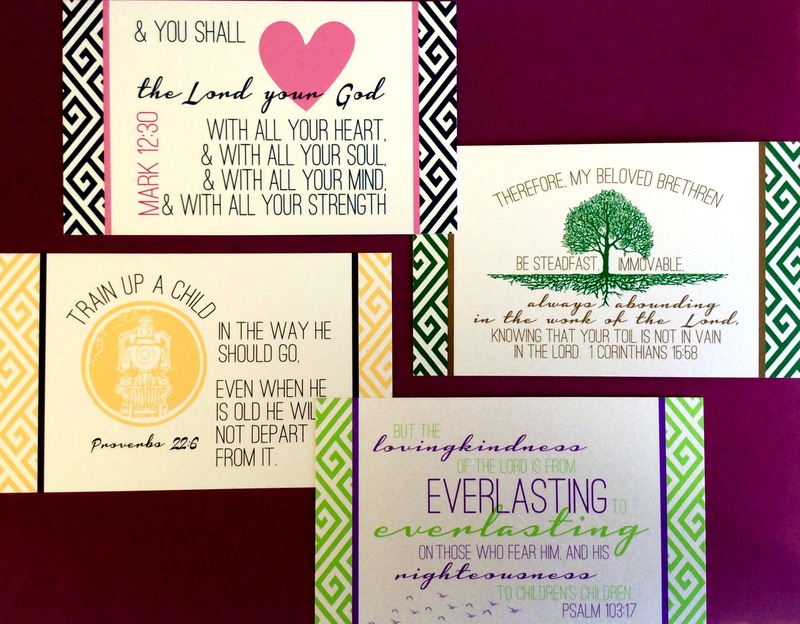 Each Scripture card corresponds to a specific week in the Called to be a Keeper Bible study. 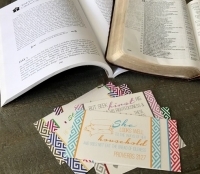 For example, the week one memory verses are Matthew 6:33 & Mark 12:30. So, the first Scripture card in the set has these verses on the front and back. 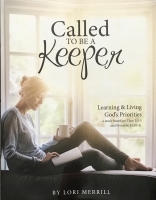 You can look in the Called to be a Keeper workbook, pp. 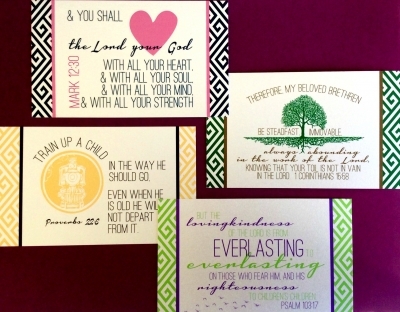 188-189, to see the verses that are included in the set. If you haven't done the CTBAK study, these are still wonderful verses to memorize so you can hide God's Word in your heart.